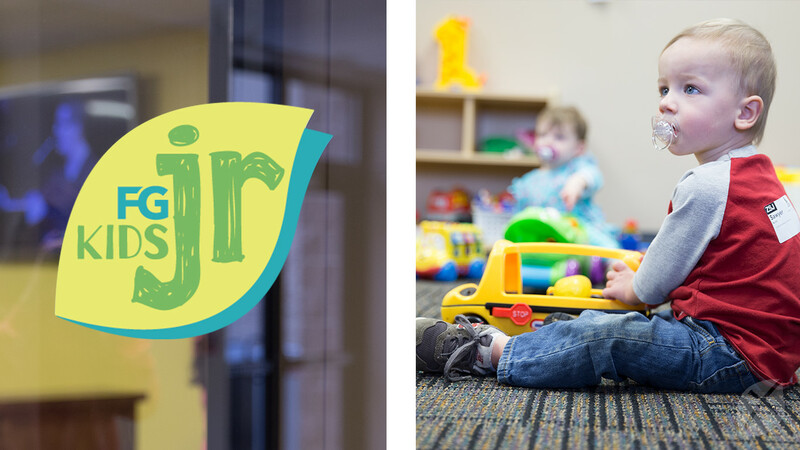 In both cases, we engage wonder-filled kids in songs, prayer, Bible stories, crafts, dancing, and plays as we teach through these three big ideas through a changing monthly theme. Your little ones arrive in a world where they don't yet know the language and have very little control over their bodies. But they're quickly forming first impressions about themselves and the world. When you embrace your little one's physical needs, you give them an early impression of love and care so they can learn to trust. And practically, when you embrace your little one's physical needs you also help them know God's love and meet God's family. As your church, we want to partner with you to give your little ones a first impression of their Heavenly Father and God's Family. 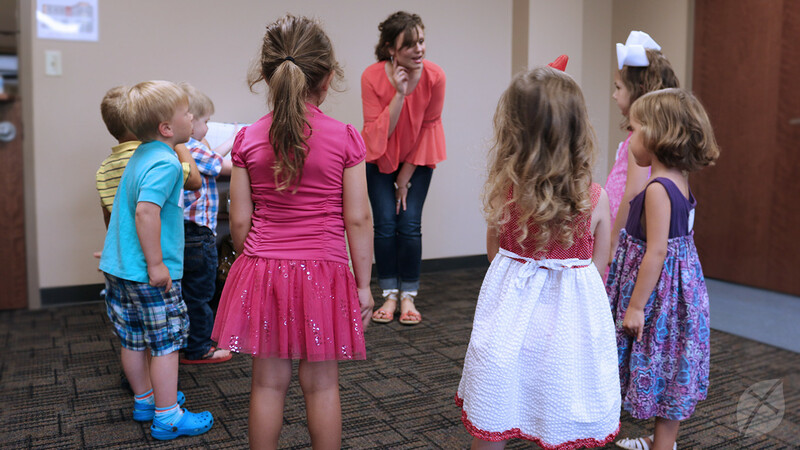 Each Sunday morning we offer programming for the little ones during each service. While we rock and cuddle and sing and play, we teach them too. To help you make the most of this phase, we provide a monthly flyer with two simple ways you can show your child the love of their heavenly Father (view a Nursery Parent Cue sample). This may just be a phase, but don't miss it. Make the most of those everyday moments. Kids ages two to five are full of wonder. They wonder about everything. They wonder if you love them. They wonder if a rule is a rule or just a suggestion. They wonder if Veggies Tales is real or not. They wonder why they can’t see God. It’s in this amazing phase that they are most open to discovering foundational truths about faith. You play a role and we, your church, play a role as well. Working together, we can give your wonder-filled children a first impression of their Heavenly Father as we help them know God's love, and meet God's family. Each week when you pick up your child, look for a Parent Cue (check out a Preschool Parent Cue sample). It's filled with ideas you can use during the time you already spend together, during morning time, drive time, bath time, cuddle time, and so on. It will give you great ways to engage your wonder-filled kids in faith. Stop by our FG Kids information desk on a Sunday morning to learn more about any of our programming. We believe parents are the greatest influence in their kids' lives, and parents are in the best position to help their kids know God. We also believe that as a church we can uniquely equip and partner with parents along the way. With this in mind, we offer opportunities for us to partner together in raising the next generation. Good News—“We’re Expecting!” We want to know when God is blessing you with a little. So, if you are pregnant, please share your good news with us. Parent Dedication Celebration— We want to help you think about what it will look like to launch kids who know and love God. So, journey through our Parent Dedication experience to focus on what matters from the start. AM2PM— We want to mentor and partner with moms of preschool kids. So, join an AM2PM group and experience small group life with support for your life stage. Groups are offered Monday and Thursday mornings and Wednesday evenings. Event Childcare is available for this study.